Once updated, you should have connection again. This will get the MiFi 500 back on track to receive a signal, to broadcast Wi-Fi to the device you want to use. This way might ask for a MSL code, if it does, please message me and I’ll give you the instructions to find the MSL code. 1. Power on your MiFi 500. 2. Press OK to select Menu and display the Menu screen. 3. Use the navigation buttons to scroll to the Wi-Fi option and press OK to select More and display the Wi-Fi screen. 4. Press OK to select More and display your Wi-Fi name and password. 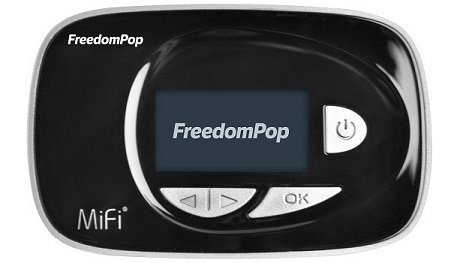 Freedompop likes to use ( freedompop ) as the password. How do I get a portable WiFi unit , can't find anything on the site too order one ??? Just sent you a DM with all the links I could find from last week. Whats the 'name' / current version we should be seeing? Attempting to update says "There were errors while updating the profile." and im wondering if im already up to date? Update History say's "10/19/2014... 9x15SPE-45.05-1.83.4.8.. success"
attempting to update PRL also fails. One last thing. I'm current on 3G do i need to be on a LTE to do updates? Would that make a difference?